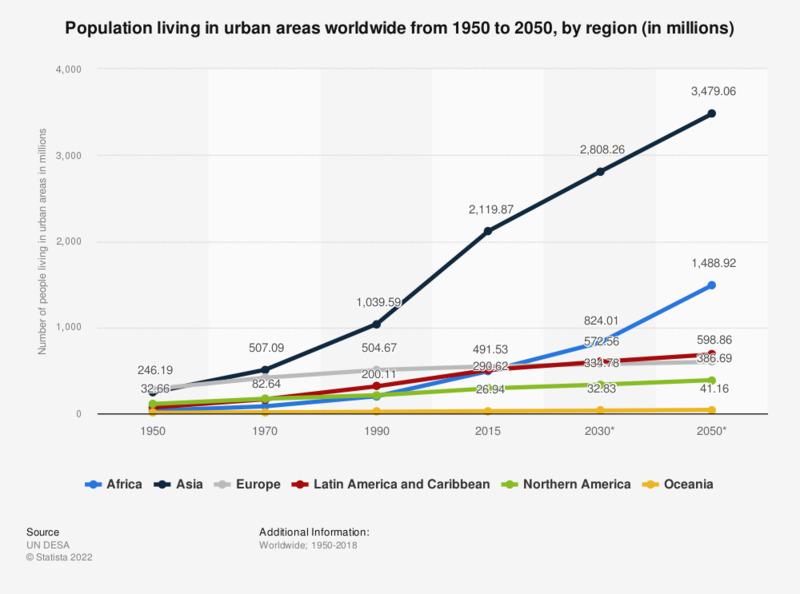 This statistic shows the number of people living in urban areas worldwide from 1950 to 2050. By 2050, roughly 1.49 billion people in Africa will be living in urban areas. *Projected figures based on calculations made in 2018.